The Sambadrome hosts 6 grand parades every year during the Carnival season: they are the competitions most awaited by the caRIOcas (Rio born people). Five of these parades involve the top Schools whereas one of them promotes the Junior Schools. To understand the importance of the Sambadrome parades in the samba community, you have to keep in mind that there are nearly 100 Samba Schools in Rio and that the highlight of their very existence is the Carnival season with its parading competition. Schools are ranked hierarchically into 5 groups: the SPECIAL group and groups A, B, C and D. Each of these Samba School groups contains between 8 to 14 Schools which compete among themselves during the Carnival season. The winner becomes the group-champion of the year. As for the Junior Schools group, it's currently composed by 18 Schools. Want to know how to say it in Brazilian Portuguese? Have a go! The competition makes every group-champion School of the year be promoted to the immediately superior group. Likewise, the Schools to score the least points in their groups are downgraded to the immediately inferior group. Therefore all Schools strive to improve their positions within the general contest and to become group-champions. The champion of the Carnival is the champion of the SPECIAL GROUP. 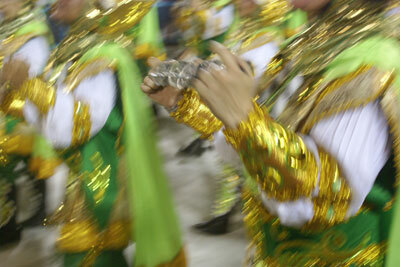 The groups to parade through the Sambadrome during the Carnival season are the SPECIAL group and groups A and B. The Juniors parade the Friday just before the Carnival and the Champions - the 6 top Schools from the SPECIAL group - parade the Saturday afterwards. Below, we present the schedule for RIO CARNIVAL 2020 grand parades at the Sambadrome. For more details about the best locations to watch the parades along the Sambadrome, check our next section, choosing the location. Special attractions* - 08:00 p.m.
* This presentations are occasional. Now that you know the most important issues about the parades, you should check about THE LOCATION: THE VARIOUS SEATING AREAS.